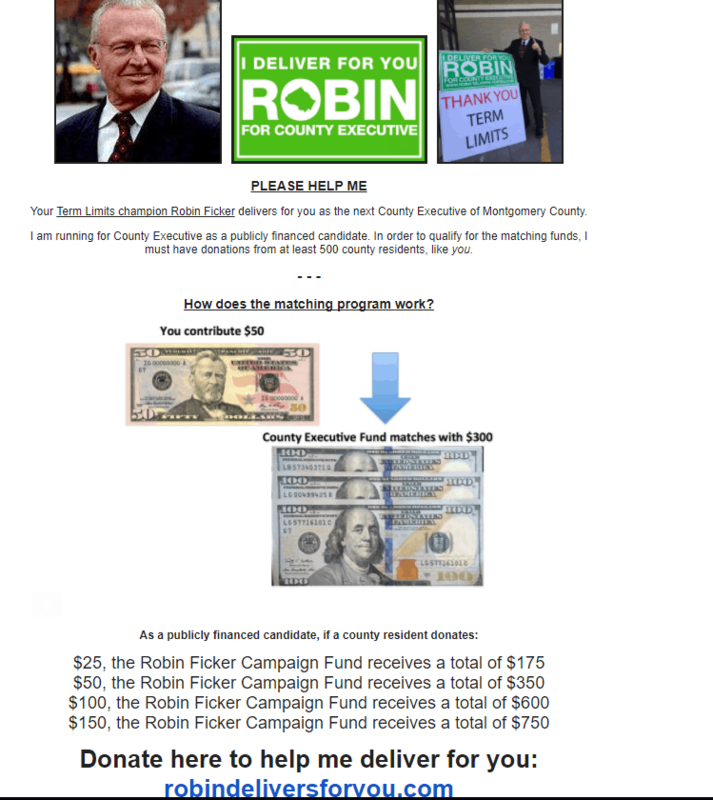 The only Republican running for Montgomery County Executive, Robin Ficker, sent his first campaign email blast today to people who never signed up to receive his updates. Ficker has enlisted the services on Gravis Marketing, which bills itself as “an award-winning public relations firm with a clientele including political campaigns, public affairs organizations, consultants, and nonprofit organizations across the globe” to execute his email marketing campaign. 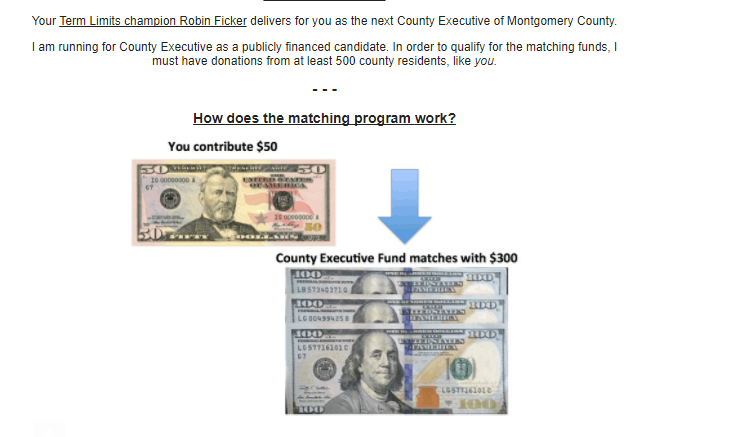 Ficker told Metcalf that he intends to use the email addresses for campaign purposes and to inform potential voters about his opponents. 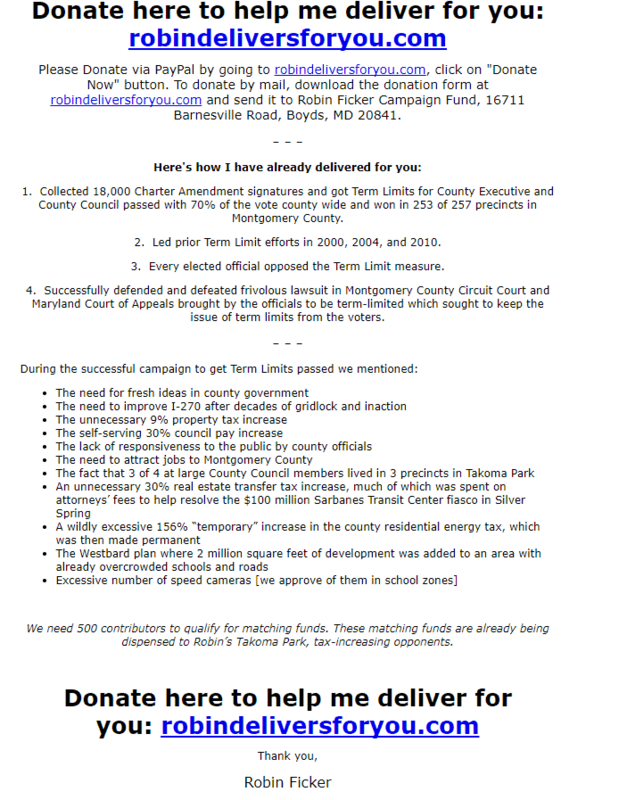 The email below was received by a county resident who did not request to be emailed by Ficker’s campaign.